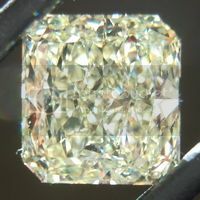 In this case the I1 clarity characteristics are a small black carbon spot, deep within the diamond - tiny enough that it is not eye visible - although you can find it with a loupe. 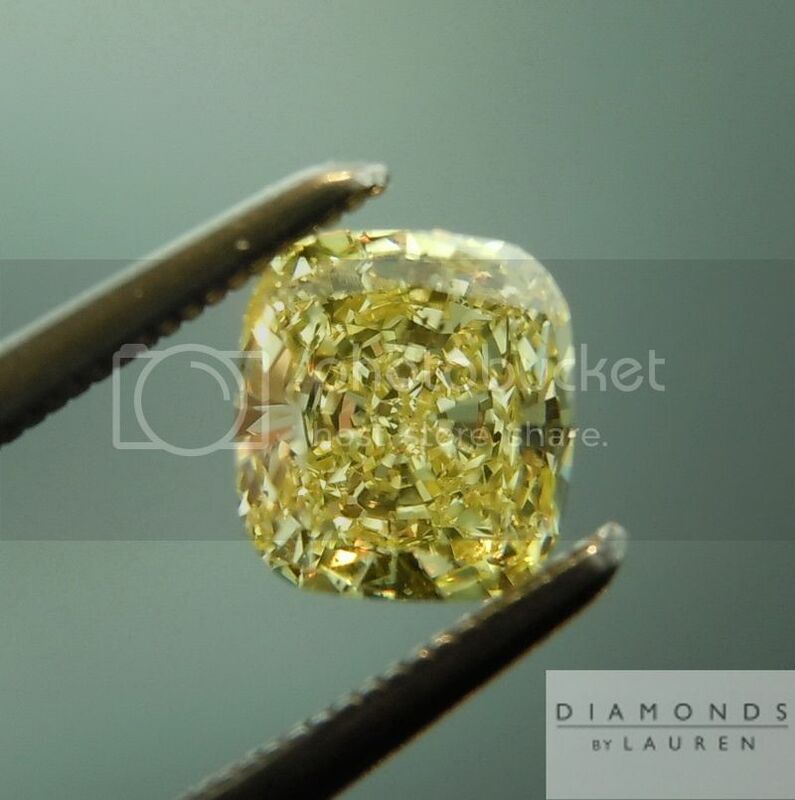 Also a small feather which is also not possible to see without a loupe. 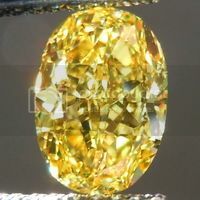 The black spot, on its own, would have been graded SI2. 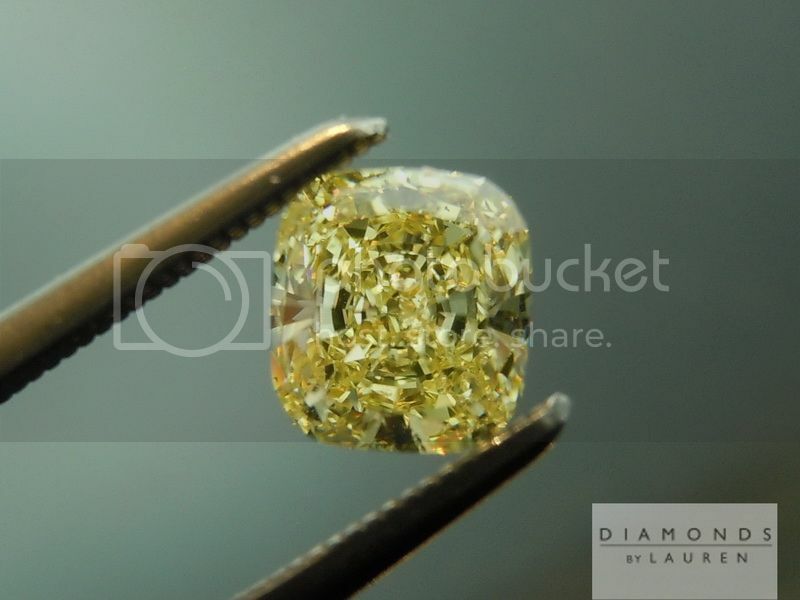 Add the tiny feather, and you have an eye clean I1. 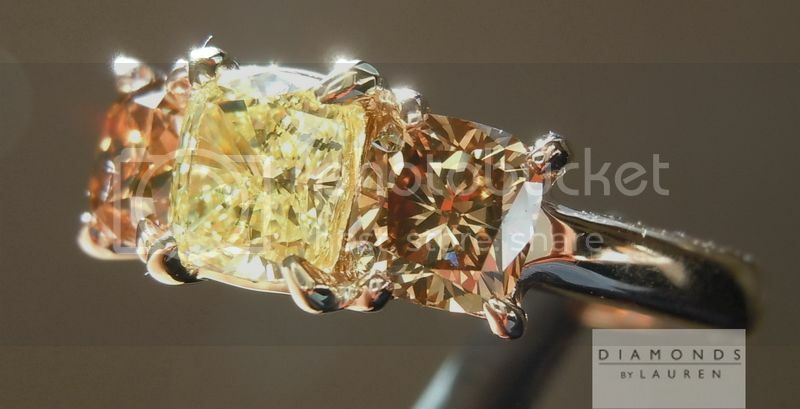 Really nice canary color. 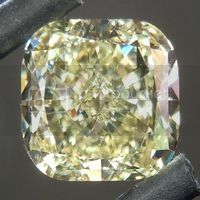 Eye clean I1. 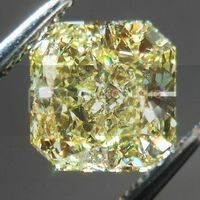 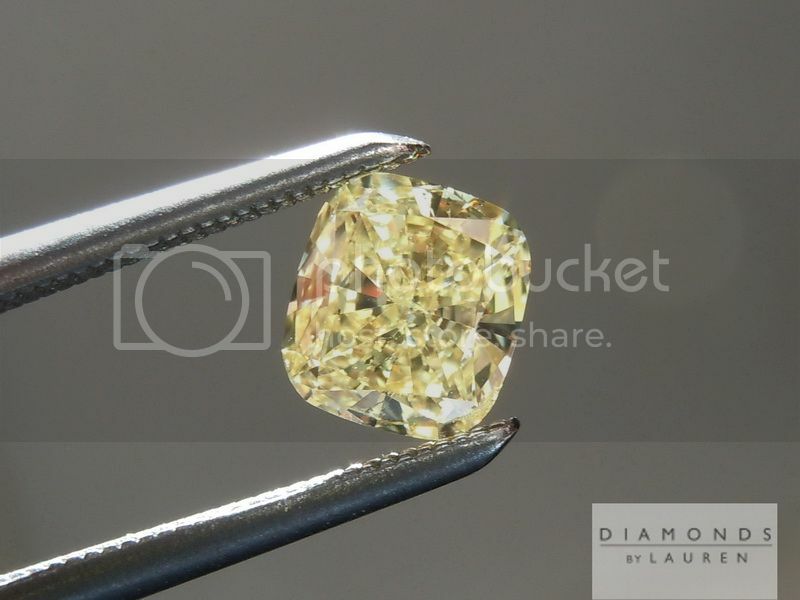 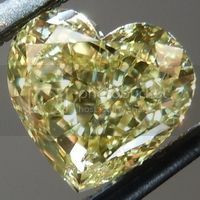 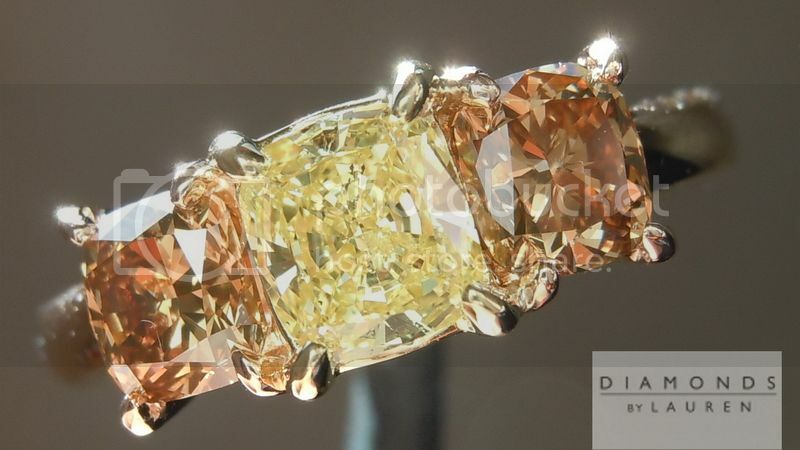 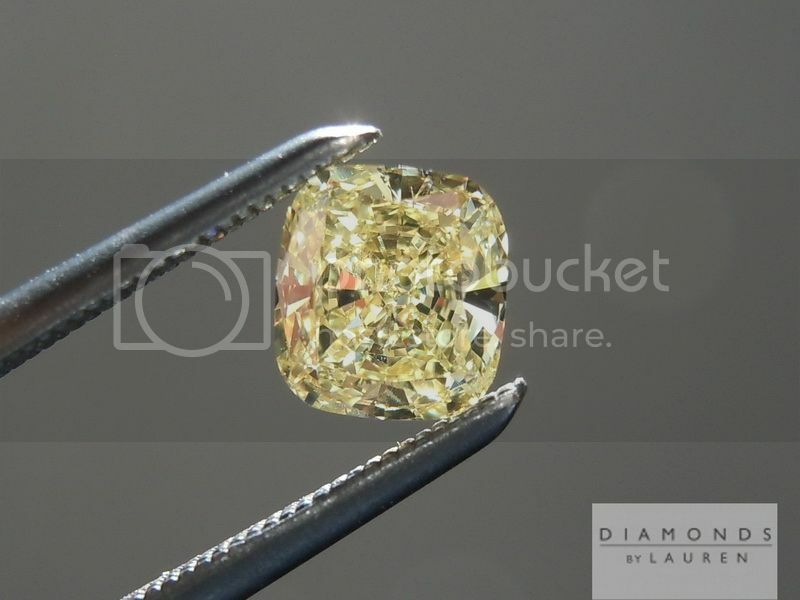 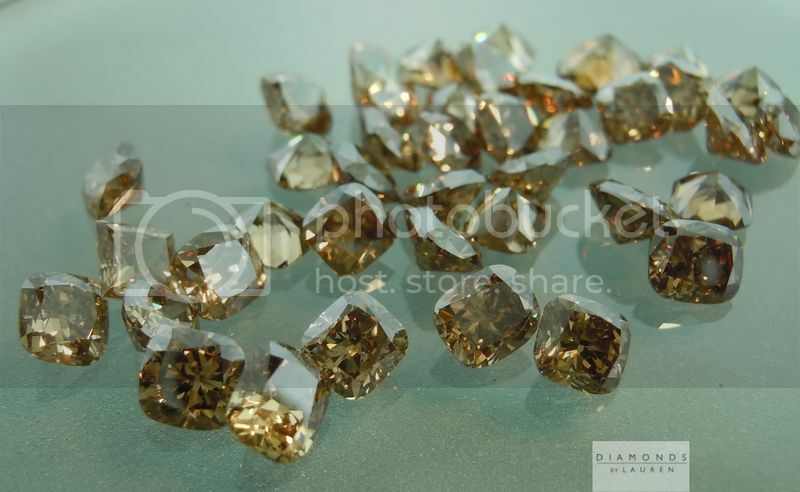 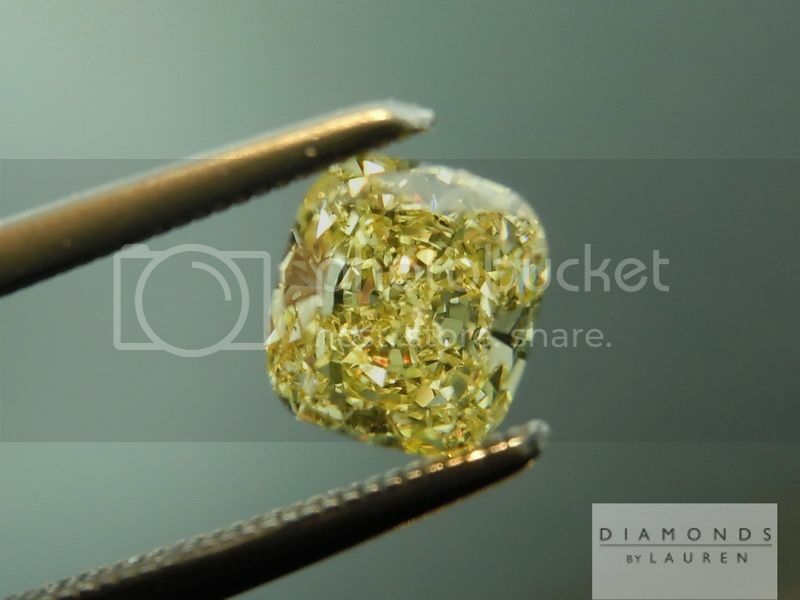 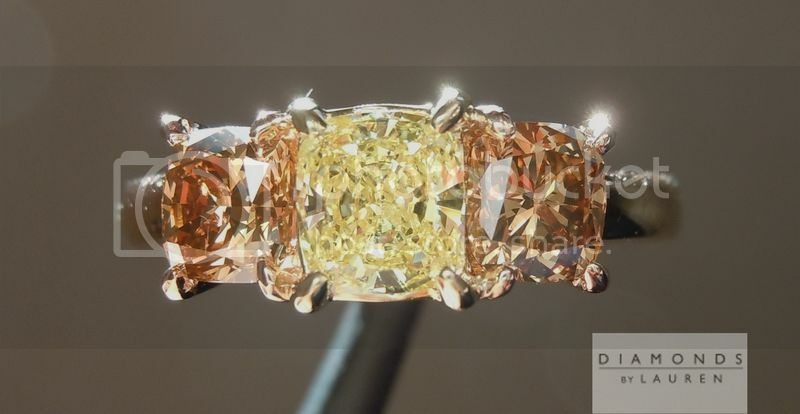 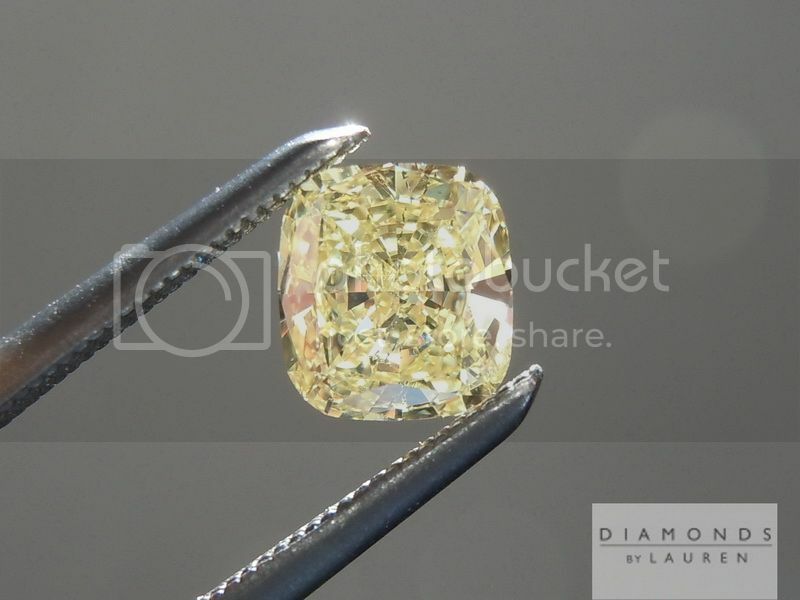 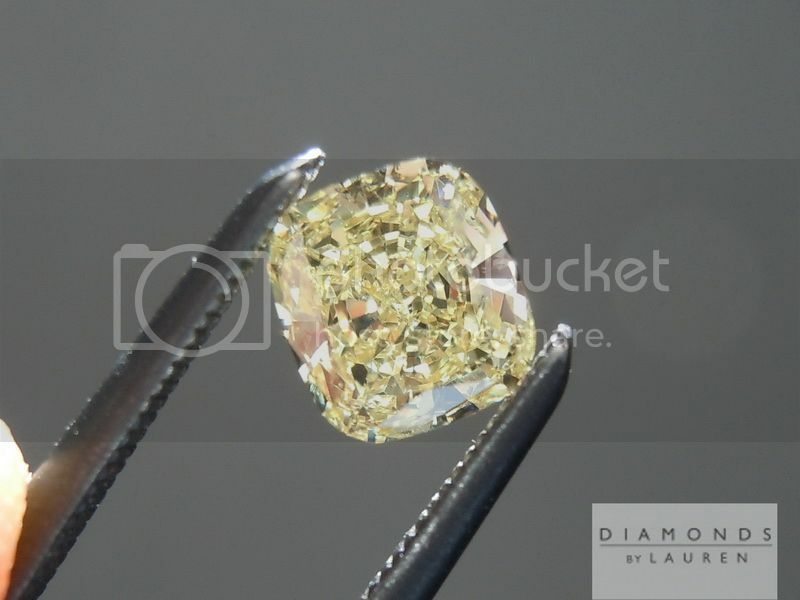 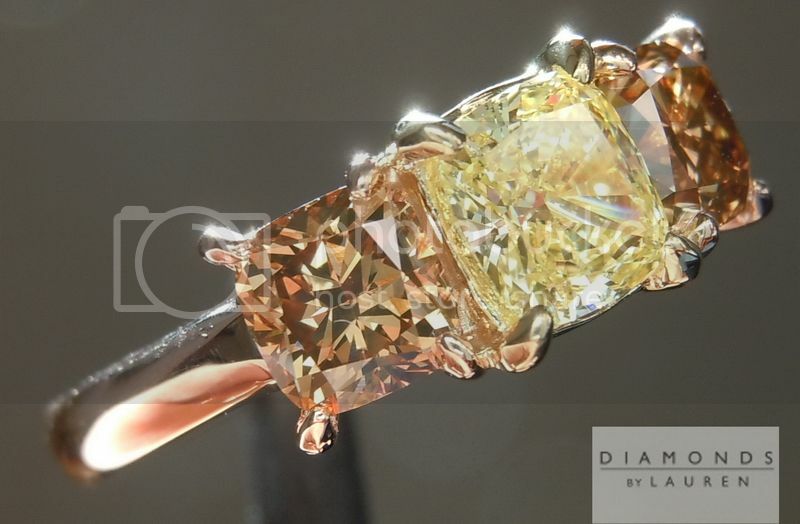 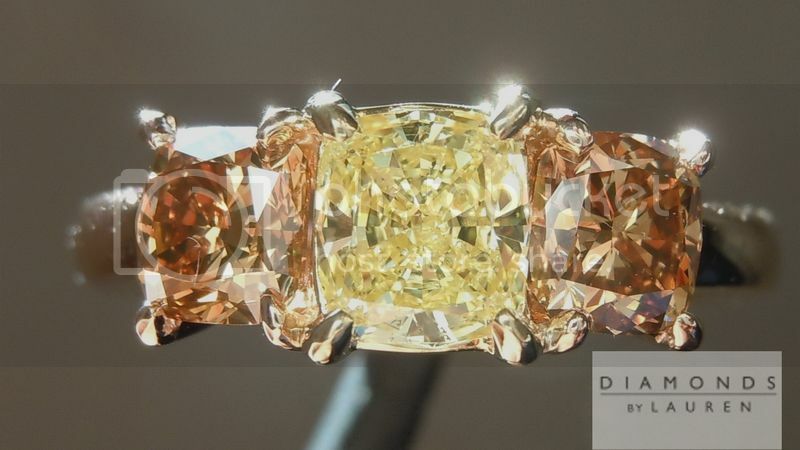 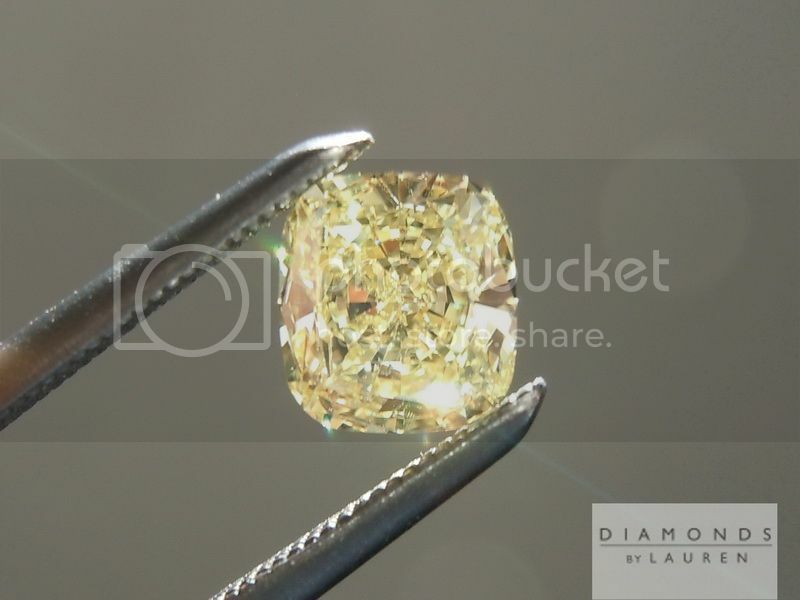 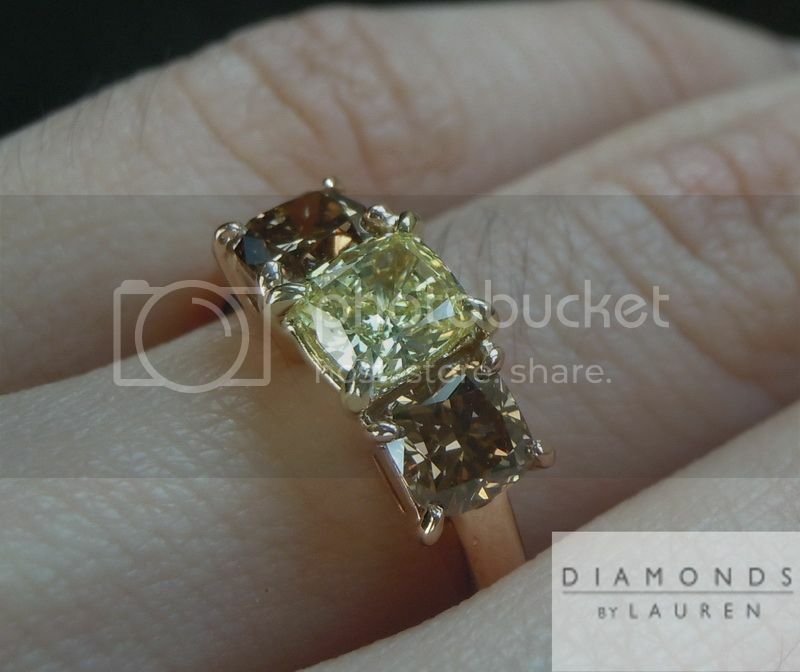 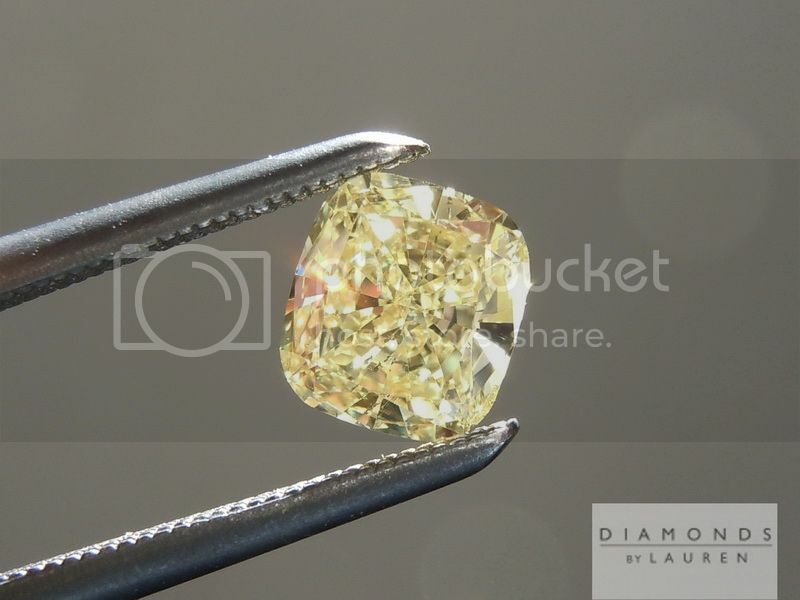 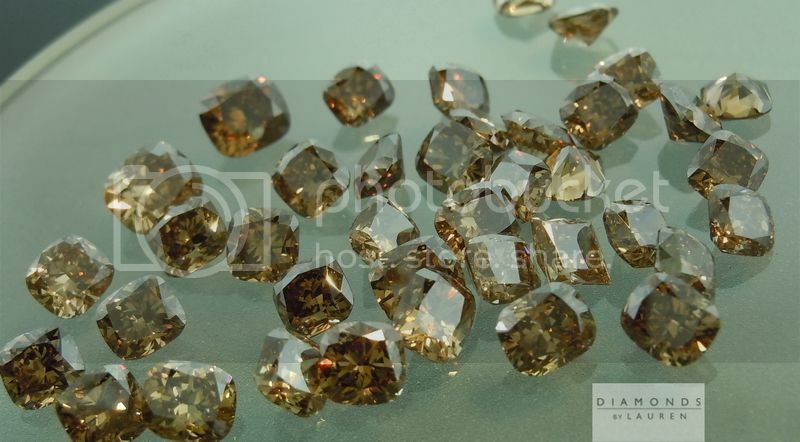 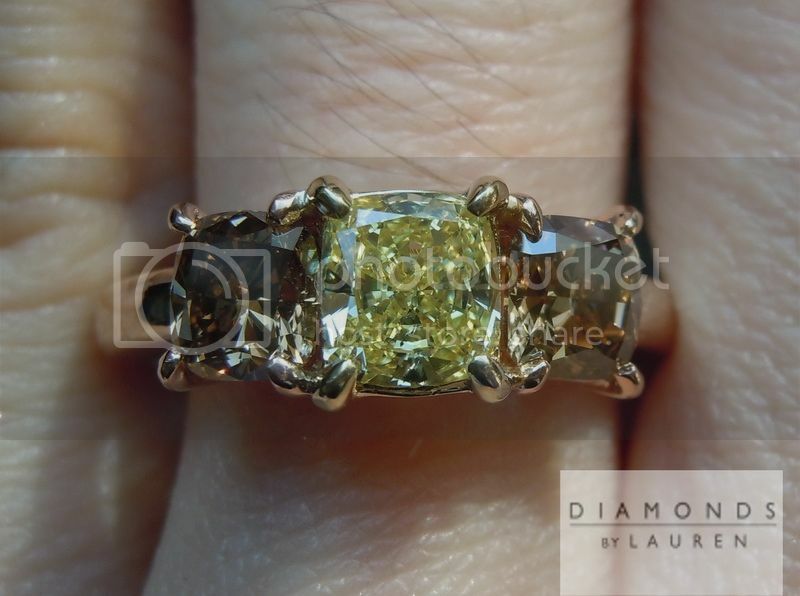 We chose two well matched cushion diamonds from the parcel below to flank the vibrant yellow diamond. 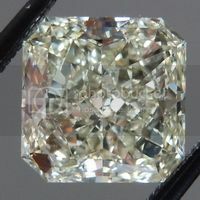 Lovely contrast between the center and these beautifully cut side diamonds. 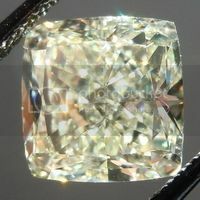 The sides have a remarkable brilliance considering the depth of color. 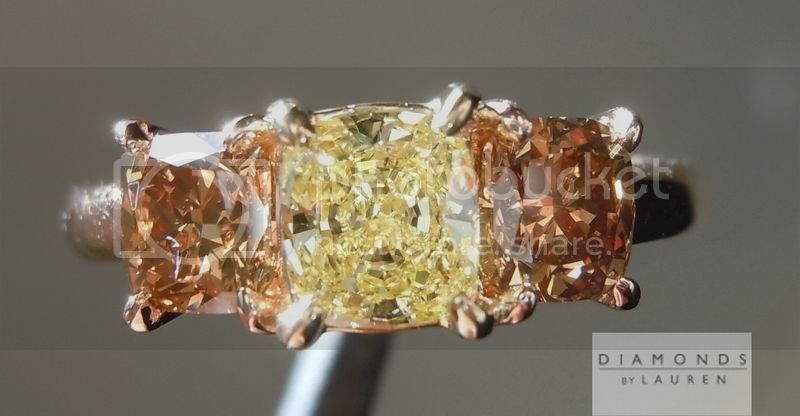 I pick up a hint of burnt orange in the brightest flashes coming back to my eye. 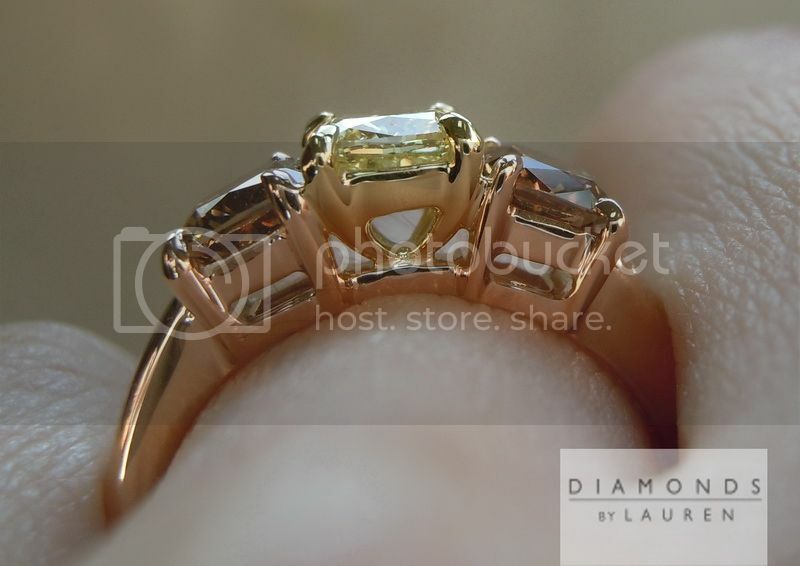 The entire ring is crafted in 18kt pink gold, save the center portion, which is hewn from 18kt yellow gold. 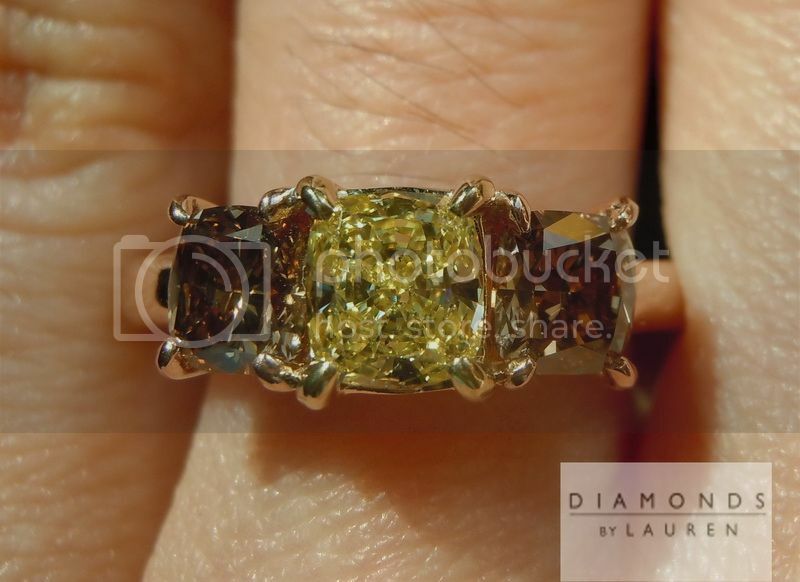 A one of a kind ring with a lot of meaning.